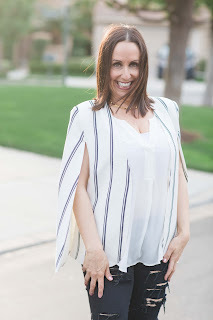 One of my favorite trends is the cape jacket. I love everything about it and I am loving this style from one of my fave on line boutiques Silver and Gold!! It is the perfect print and color scheme to welcome spring. A cape is so versatile. You can wear it with a tank like I did here, or even a long sleeve shirt or cute tee underneath. 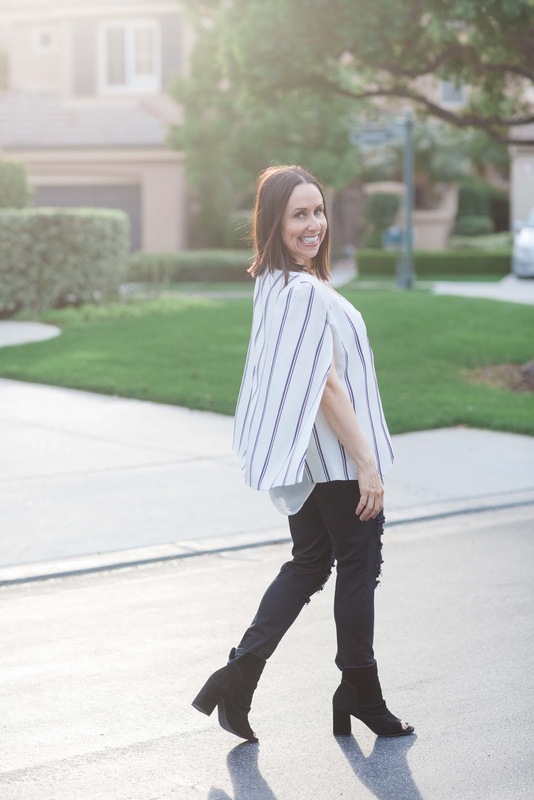 I then added some distressed black skinnies and some open toed booties (can you say OBSESSED),and I was ready for a night out on the town with my hubby. One of my favorite date nights is when it is just him and me out to a nice dinner where we can talk and catch up on the week. I hope you invest in a cape for spring and summer. I can't wait to hear what you think of this current trend!! Let me know in the comments. Thanks to Taylor Cole for photos. You can shop this look by clicking on the links above. Happy Reading!!! !